MMuzooka is a free app allowing artists and their teams to manage their media assets across various platforms, such as festival, venue, or ticketing websites (i.e. no more ancient photos or an outdated bio posted by a promoter). It also makes it easy to report setlists to performing rights organizations for proper distribution of live performance royalties. 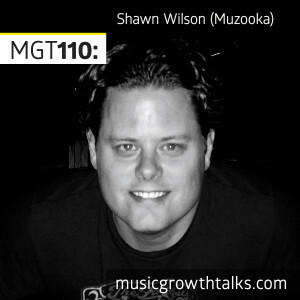 On this Music Growth Talks episode, Muzooka’s founder and CEO Shawn Wilson shared his story of building a product based on real needs of the industry, and explained in detail how their asset management and playlist reporting systems work for music acts. Listen to the show in full to learn how the app collects and validates artists’ data, to see why you should get on board, and to hear Shawn’s practical advice on getting more attention to your festival gig.